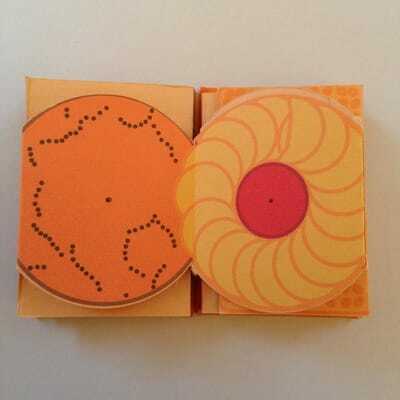 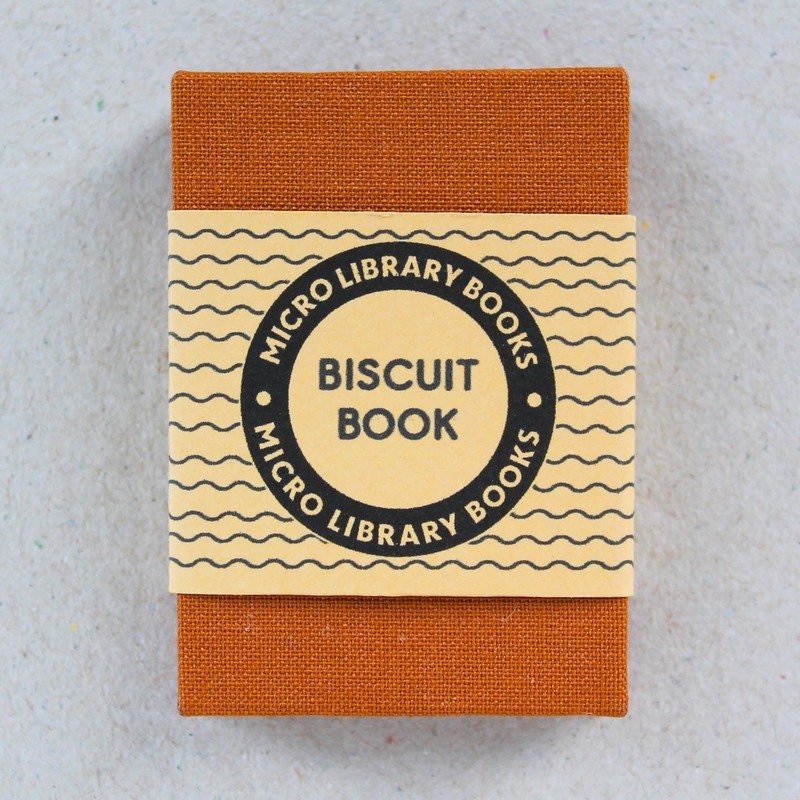 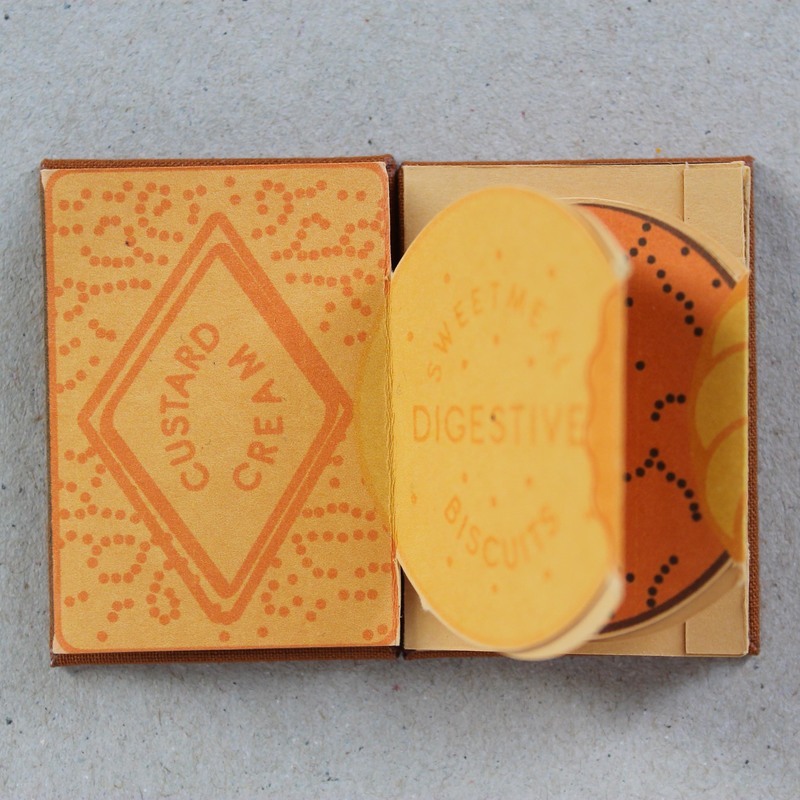 The Biscuit Book is a limited edition hardbound miniature book, with chocolate-coloured rayon cloth covers, wrapped in a printed-paper bellyband. 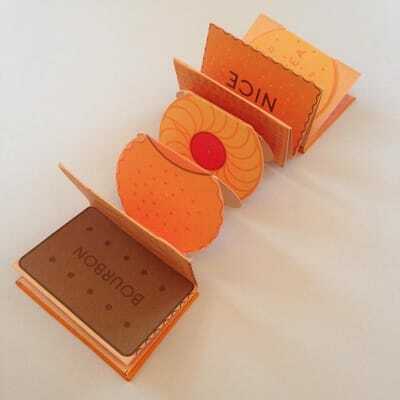 The book is made up of 14 caramel-coloured, concertina-folded pages printed with illustrated biscuits pink wafer end-papers. 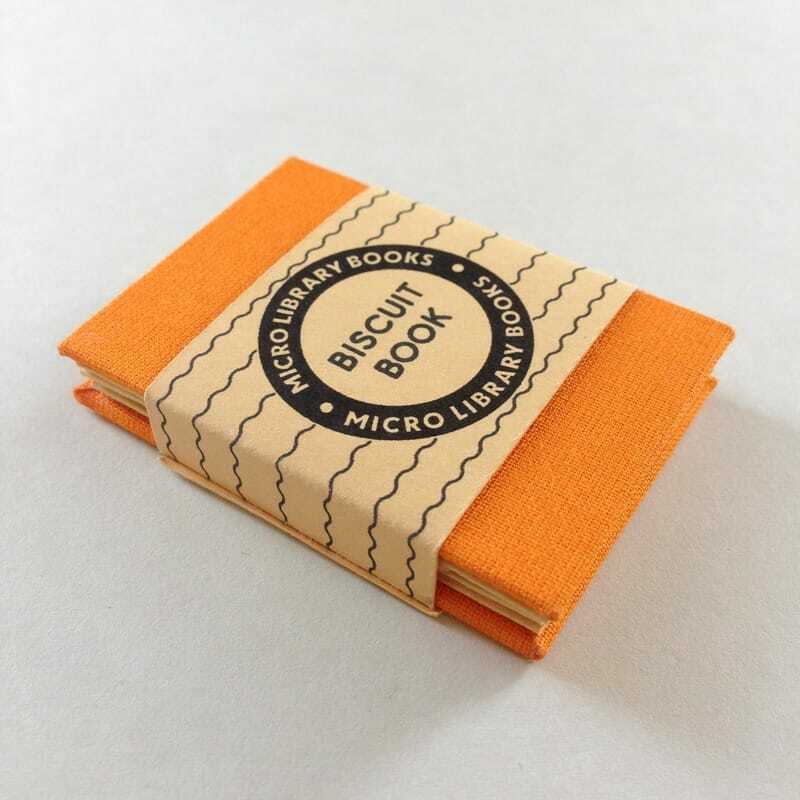 The book is made by hand from a single sheet of printed A4 paper, which has been scored, folded, cut, glued and assembled into the pocket-sized Micro Library Book accordion-folded format, making this edition strictly limited, and made in very small batches.